That time of the year is here again, summer is upon us, the sun is shining, hopefully…place your bets now. But the question still remains, “What to wear to The Races?”. Here at MyDress we can’t deny that we love an excuse to get glammed up and slip on our summer dresses, show a little leg and well get out in that summer sun. The Races is a great excuse to do just that, embrace everything about it, get your “hair did”, “nails did” and get your hands on that perfect dress. Essential Tips: What to wear to the races? Take a handbag that’s big enough to put your race cards, tickets, lippy and sunglasses in. But not so big that it gets in the way. Perhaps a bag that can be worn over the body is a savvy choice. There is a lot of walking involved and Lingfield Races even have a concert after and you’ll be wanting to dance. Take a small pair of pumps is also an option or wedges could be wise choice. Take a jacket or coat that is has beautiful as your dress. The reason? Well, although we all have our fingers crossed for gorgeous sunshine the whole summer through…it might not happen…and so this way, if your coat is flattering, then you will look fab the whole day and there’s no need to freeze! Good options are tie-waist coats, such as a trench coat style or a classic evening coat with rounded, soft shoulders. You could also opt for a more structured blazer to add some definition to your outfit. Do I have to wear a hat or a headpiece? No, it is not compulsory to wear a hat to certain race course. 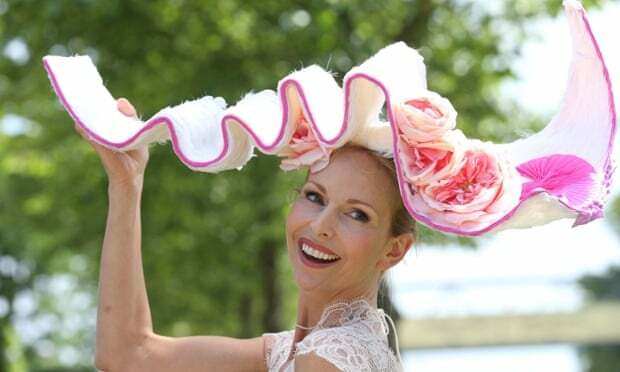 But, saying that, for Ladies Day you must wear a hat!! Check out The Hat Club London for tips and yes…rules on this extravagant occasion. It could be handy to check out the main events going on (for all you fair weather racegoers). One of the biggest events that combines the races and fashion is, of course, Ascot “Ladies Day”. This has to be one of the biggest events in our social and racing calendar and if it isn’t in yours yet, then it should be! Pencil it in, right now, we’ll wait. 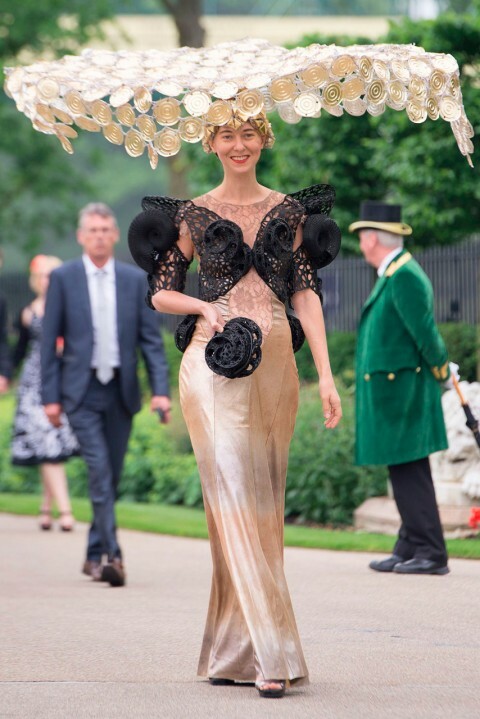 If you want to make an impression at Ladies day, you have to think a outside the box and you absolutely must wear a hat or some kind of spectacular head piece, like these racegoers did…here are some of the weird, the wonderful and the actually quite crazy hats last year’s Ladies Day saw. 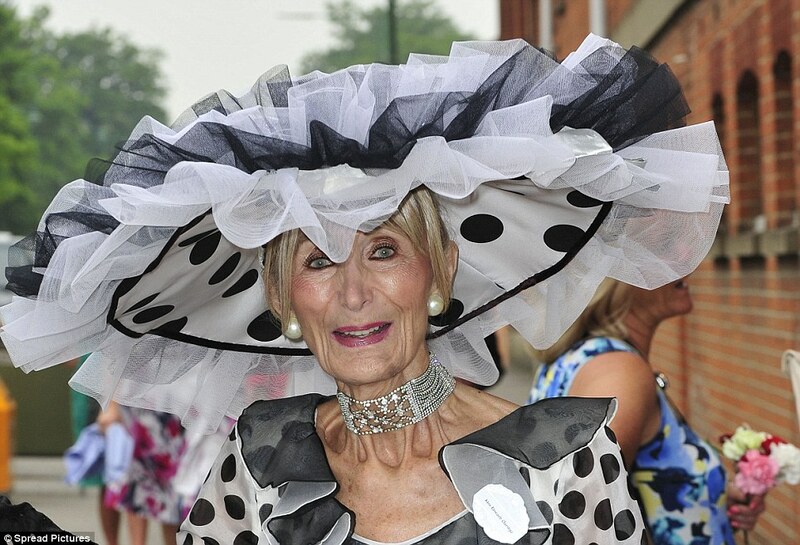 Unfortunately in recent years, some racegoers have turned up in novelty outfits and fancy dress and slightly taken “the need to make a statement” to the max and not in the way Ladies day was intended for. This means that the organisers have now set some fashion rules, so it might be helpful therefore to check out the guidelines. Some great brands for more classic dresses are; Karen Millen, Elise Ryan and Ted Baker, which has some great printed dresses. Please, please, please make sure that you check the dress code on the race course site. Some race events are more casual and will allow strapless or spaghetti strap dresses. BUT some, such as, Ascot, will not! To avoid disappointment make sure you check the guidelines before buying your dress. When choosing the colour of your perfect Race Day Dress, decide on what look you are going for. This is one occasion were you really can have fun with the “matchy matchy” cliche of times gone by. Shopping for your perfect race outfit is similar to shopping for a wedding, except you don’t have to worry about outshining the bride. Where you will be…in a private box or walking around? Think about your shoes and your poor feet!